Every time we’re behind the wheel, we’re at the risk of potential accidents. Whether you’re an experienced driver or a beginner, there’s always room for improvement when it comes to driving safely. Distraction while driving can lead to major road accidents. Avoid distractions such as using smartphones, tablets, and other electronic devices. If you have to use them, then use with hands-free devices such as Bluetooth earphones and audio navigation. Did you know you can cover your blind spots by adjusting the rear-view mirrors? When you eliminate blind spots of the rear and side views, you significantly lower the risks of rear-end and side-impact collision. Speeding is one of the common reasons for road accidents. You might be in rush to reach your destination, but speeding doesn’t necessarily help. Speeding not only increases the risk of road accidents but also heightens the likelihood to get speeding fines. Modern four wheelers come with an array of safety features such as ABS (anti-lock braking), lane departure warning, rear park assist, tyre pressure monitoring, and blind spot monitoring. If you have such safety features in your vehicle, use them – every step goes a long way in ensuring your safety behind the wheels. 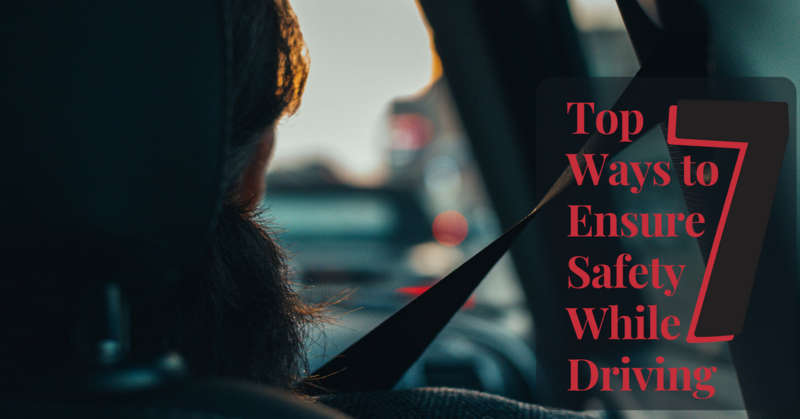 We all are aware of the dangers of drinking and driving, but driving when sleep-deprived or ill put you in just as much risk. Staying alert whilst on the road is crucial to ensure safety. Defensive driving involves staying vigilant as other drivers may not be as concerned as you. Maintain front and rear distances from vehicles during a traffic jam. Never approach near to heavy-duty vehicles such as buses and trucks on the highway. Unpredictable weather, during seasons such as monsoon and winter, can increase the risks of road accidents. Check the weather forecast before heading out on the highway. This way, you can take safety precautions accordingly. Start failures can be a bummer. Lower the risk by using an SF Sonic car battery. SF Sonic car batteries provide more power per crank. Our car batteries maintain starting power over time. Explore our car batteries at http://www.sfsonicpower.com/product/buyonline.